DC Shoes are one of America's most famous skate and snow labels. 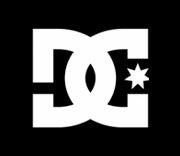 At the DC online store, discover a huge selection of the best skateboard shoes, clothing and apparel, along with a great range of snowboard gear including snowboards, boots and bindings. DC also offer a collection of Motocross gear. DC Shoes Buy Two Sale Styles, Get an Extra 20% Off – Buy Three or More Sale Styles Get Extra 30% Off. DC Shoes 15% Off First Loyal Purchase When You Join The Boardriders Club By DC Shoes. Join Now! DC Shoes Save Up To 50% Off at DC Shoes. End of Season Sale. Shop Sale Now! DC Shoes Shop DC’s Signature Looks plus Always Free Shipping on All Orders! Do you love DC Shoes?